We were in Vancouver. 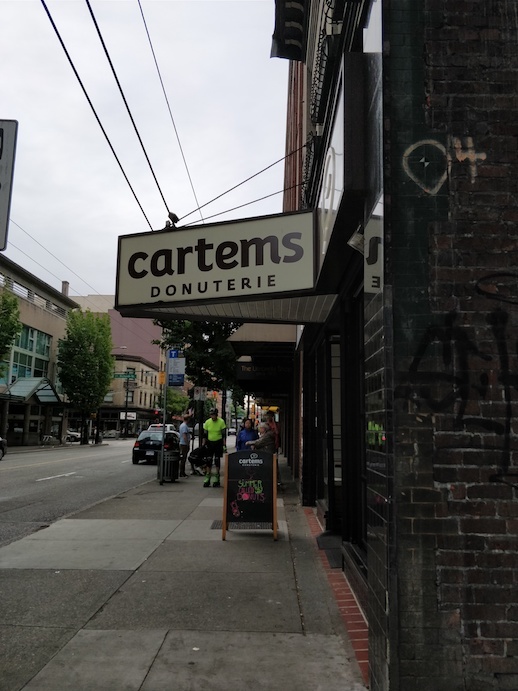 Cartems Doughnuts. Get em. – vegan in your city. Home travelling We were in Vancouver. Cartems Doughnuts. Get em. We were in Vancouver last month and it was a lot of fun. Traveling with an infant has had some challenges, but also some benefits. Mostly we’re lucky with a kiddo that’s pretty easy going, and one that enjoys sleeping on the plane as much as possible. 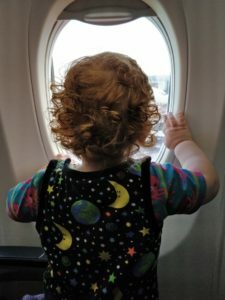 One thing I didn’t know about having a baby and flying was that we’d get to skip so many lines – who knew. I guess I knew when I travelled with the little one alone, but I didn’t realize it would apply when we were all travelling together. It is definitely a lot easier to travel as a trio, but we did pretty well just the two of us on our last trip to Edmonton to visit my parents. Anyway, ostensibly, I went for a conference, but as a delightful happenstance, we still managed to get a bunch of walking and eating in while we were there. It’s not the same as travelling alone, or as a pair of adults, but it actually worked out fairly well, since we got some mandatory relaxation time. The fun thing about being in the pacific time zone, when you’re used to eastern standard time is that everyone is still sleeping and you’re all wide awake. So you get to do things like watch the sunrise over the city and get to enjoy hotel swimming pools all to yourself. We took the redeye over to Vancouver and got in on the skytrain. They’ve got a lovely transit set up – the same skytrain you catch downtown and through the city, takes you to the airport. They’ve always had a nice transit system – or at least it’s always been convenient for where I was going. I wouldn’t have even known about Cartems (though I hope I would have stumbled upon them one way or another) if not for the recommendation of my pal The Cozy Vegan on Facebook when I asked for help finding early morning breakfast options. Donuts for breakfast? It wouldn’t be the first time. It was a grey rainy day in Vancouver, how unusual. 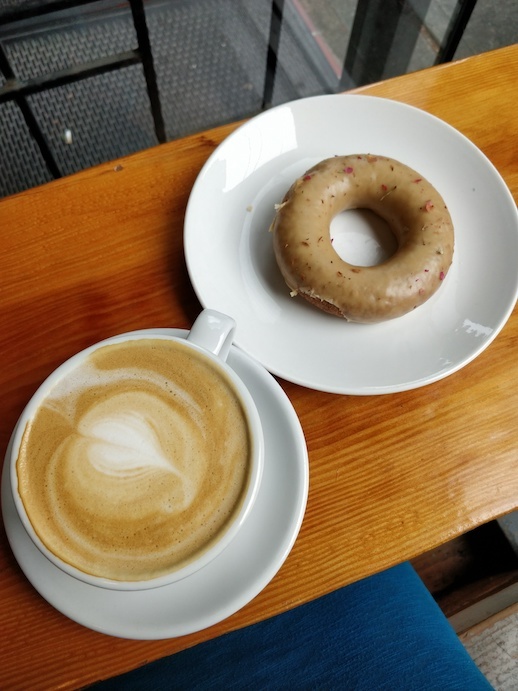 I ordered an almond milk latte and 3 earl grey donuts (2 to go – to share. For later.) Service was stellar and friendly, and I felt like a regular within my first visit. It feels like such a rare and special thing to find. We had always intended to go back to Cartems as the whole family (since they do have high chairs and plenty of seating), but we never made it back there. We even considered getting a half dozen delivered via Foodora – but also didn’t get around to it before we left. J’ai regretté. But I’ll be back next time! If you find yourself in Vancouver, I’d recommend checking them out!